You've been brushing your teeth since you were big enough to look over the bathroom sink: now you brush and floss every day. You do it because you know it's important — but do you know why? It's because your teeth and gums have enemies: oral bacteria in particular, the major cause for tooth decay and periodontal (gum) disease. The vehicle for these infections is a thin-film of food particles on tooth surfaces called plaque. Daily brushing removes plaque from broad tooth surfaces, while flossing removes it from between teeth. If you don't brush or floss every day — or you aren't effective enough — then plaque becomes a haven for bacteria which then produce high levels of acid that soften and erode enamel. Bacterial plaque can also trigger gum disease: gingivitis (inflamed gum tissues) can begin in just a few days of not brushing and flossing. You could avoid these diseases and their high treatment costs with an effective, daily hygiene regimen. There are things you can start doing right now to improve your efforts: be sure to hold your toothbrush (soft, multi-tufted is best for most people) at a 45-degree angle to the gum line and gently scrub or wiggle the bristles across the teeth; cover all tooth surfaces on both sides of the teeth — about two minutes of brushing. Be sure to use a fluoride toothpaste to boost enamel strength and don't apply too much pressure when you brush to avoid damaging your gums. 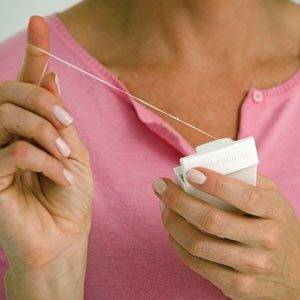 With flossing it's best to hold a small amount of string between fingers from each hand and work it gently between the gaps of each tooth. You then wrap the floss around each tooth in the form of a “C” and gently move up and down three or four times. You can check to see if you're performing these tasks adequately by running your tongue across your teeth — they should feel smooth and a little squeaky. The real test, though, is during your next checkup. Hopefully we'll find the hygiene habits you've been practicing your whole life are helping you keep your teeth healthy and disease-free. If you would like more information on best oral hygiene practices, please contact us or schedule an appointment for a consultation.